On the evening of December 20th, 2018 the great church of St. Aloysius rang with the sounds and songs of Lessons & Carols. This service of nine readings and nine carols is a tradition that began in England in 1918 to celebrate Christmas. 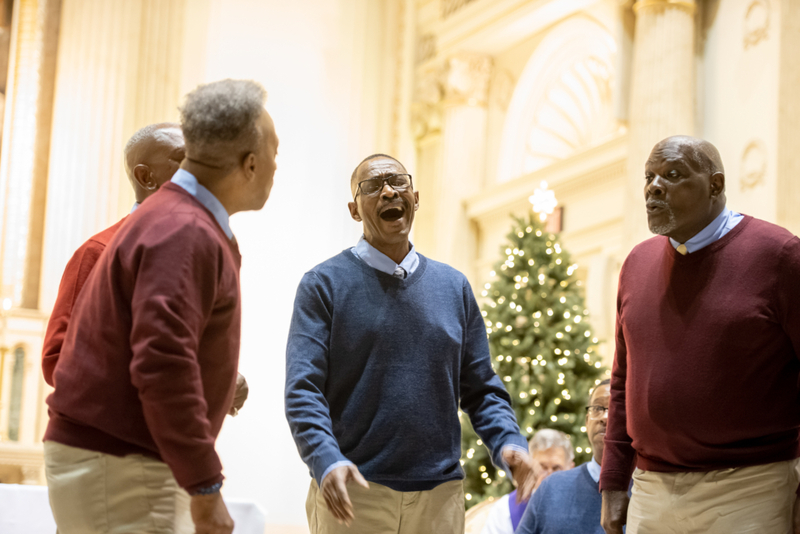 Last Thursday the celebration was led by a choir of men from the Day Program at The Father McKenna Center who are struggling with or have conquered homelessness. 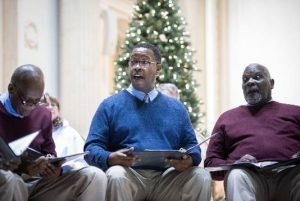 The McKenna Center Singers have been practicing for 10 weeks, under the direction of Rev. 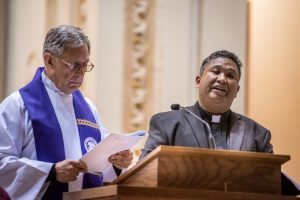 Phil Ganir, SJ. 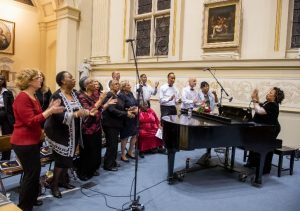 They were joined by The Least of These Gospel Choir from Holy Redeemer Church. 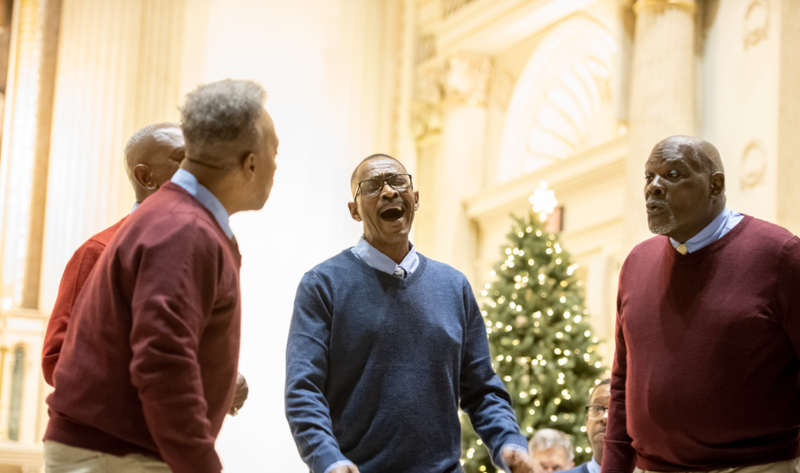 Please join us on Wednesday, December 18, 2019 for the Second Annual Lessons & Carols!